The Rolex Forums - The friendliest most informed Rolex (non-commercial) pure enthusiast website on the web. 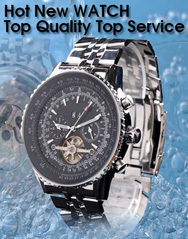 Discuss and see photos and reviews of Rolex and other fine Swiss watches. A community to learn, enjoy and appreciate fine watches and make friends the world over. Watchophilia | Vintage Bulova & Mickey Mouse Watches & Clocks - An amazing collection of rare vintage Bulova and Mickey Mouse watches and clocks, along with helpful guidance on identifying vintage Bulovas by date and model name.